I had another sweet potato that I neglected to cook in a timely manner. Having had such success with my first sweet potato experiment, I decided to give it another go. But this time, I tried planting the entire sweet potato instead of cutting it into sections. This photo was taken one week after I buried the sweet potato. I might venture to say that it’s taken root. Here is my first sweet potato plant that is starting to look like a sheep dog. 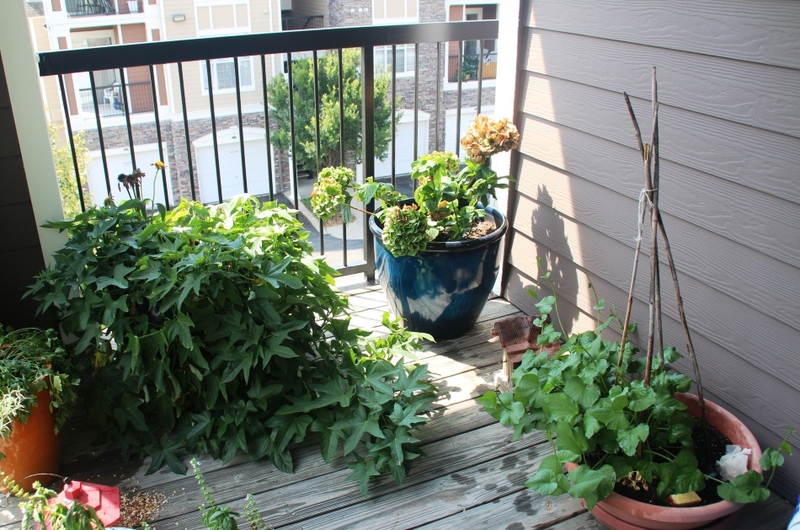 I’m afraid that I may go out onto my deck one day and the whole thing will be covered in a sweet potato vine carpet. I still don’t have a rocking chair, so it really doesn’t matter if my plants take over. I’ll probably decide on one right before it snows. P.S. 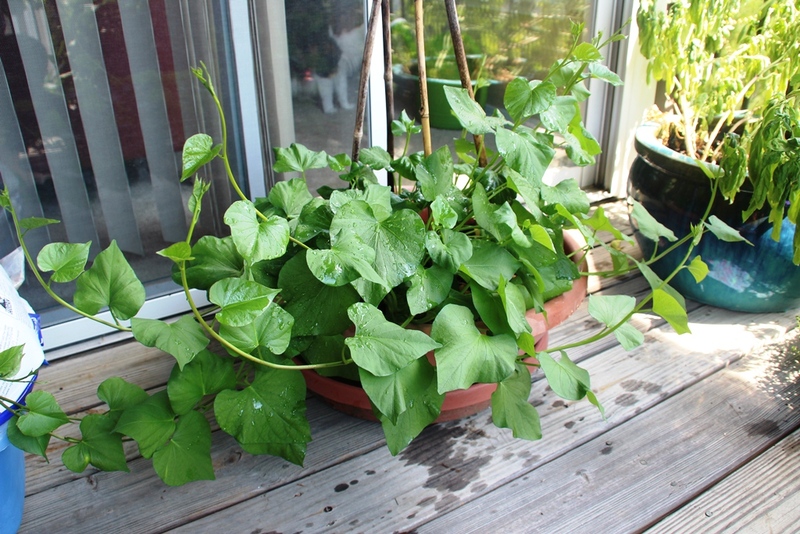 In looking at this photo for a minute here, I realized that the leaves are shaped differently on my two sweet potato vines. I suppose they are different varieties? Is one a yam and one a sweet potato? What really is the difference in those two anyway? Time to call Papa and get to the bottom of this. P.P.S. I am curious to see if my new plant climbs the sticks. P.P.P.S. Ok, I’m really done now.